Listening to Mitsubishi’s marketing pitch on its new Outlander, journalists heard many of the same factoids regarding small SUVs that other manufacturers cite as raison d’être for such vehicles. 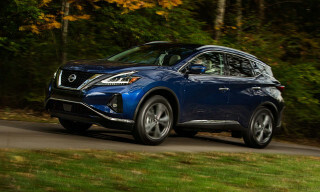 To wit, “entry-level” or “small” SUVs are the fastest-growing segment of the market, with sales up 29 percent in 2001 in a market down 1.2 percent. And they’re a great opportunity to bring new customers to the brand and “broaden Mitsubishi’s sales base.” No arguments there, but move beyond the obvious and the horizon grows hazy. Every manufacturer thinks (or hopes) it can redefine vehicle segments in its own image, especially when it arrives late to the party. 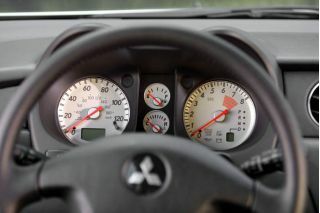 Mitsubishi is no exception. 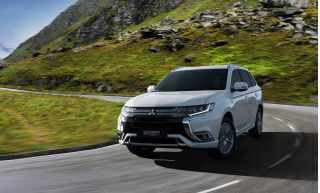 They consider the Outlander an “entry-level crossover SUV,” and by “listening to our customers” made it “hip, cool and thoroughly Mitsubishi,” not to mention “fun, versatile and affordable,” according to Gael O’Brien, VP for corporate communications and public affairs. Okay, hip, cool and fun are subjective, so we’ll give them a pass on those. Versatile and affordable we can measure and will discuss later. But how could Outlander stand out against the Toyota RAV4, Honda CR-V and Subaru Forester? That was the rhetorical question Marcel Millot, Mitsubishi Motor Sales of America’s (MMSA) launch & brand strategy manager asked the assembled journalists, most of whom wondered exactly that. Based on the Lancer’s platform, the unibody Outlander comes as either a front-wheel- or all-wheel-drive five-door in LS and XLS trim levels. Sharing much of Lancer’s stiff chassis and four-wheel independent (struts up front, multi-link with trailing arms at the rear) suspension is a good thing. The Lancer’s steering and handling prowess belies its low price, but it badly needs better tires and wheels, not to mention a power boost, to give it any pretense of performance. Sadly, the Outlander also shares that Lancer trait; it is woefully underpowered. 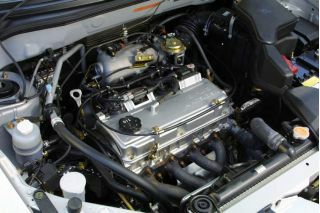 The sole powerplant is a single-overhead cam, 16-valve, 2.4-liter four-cylinder that produces 140 horsepower and 157 pound-feet of torque. The four-speed Sportronic automatic transmission is geared to deliver maximum torque at 2500 rpm, and uses INVEC-II programming to adapt to each individual’s driving style when placed in full automatic mode. Or utilize the “Sports-mode-gate” and choose your own power band, which under certain acceleration maneuvers might be the way to go, given Outlander’s weights of 3240 pounds (FWD) and 3461 lb (AWD). Estimated EPA fuel ratings are 21 city/26 highway for FWD and 20/25 for AWD. 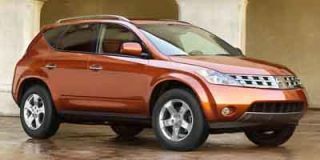 Those pounds are spread over a 103.3-inch wheelbase (0.9-inch longer than Lancer) and sculpted “into a more aggressive, sporty, urban SUV” than the Japanese-market Airtrek on which the Outlander’s based. A very prominent nose sporting the Mitsubishi triangle retains the family resemblance. From any angle not showing that nose, the Outlander’s styling is generic five-door, as in small (station) wagon. Again, that’s not a bad thing, despite most automakers’ phobia about calling that body style what it is. Sixteen-inch wheels wearing 225/60-size tires are constant across the four models. Steel wheels are standard on ES cars, five-spoke alloys are optional. Multi-spoke alloys are standard on XLS. Regardless of trim level, front-drivers get Yokohama tires; AWD-cars wear Dunlop 4000 rubber. All of which help give Outlander a good wide stance and a generous 8.3 inches of ground clearance. Not that MMSA expects you to be dodging boulders: they honestly describe “Outlander’s dual nature as an urban cruiser and gravel-road SUV.” We didn’t get to experience much gravel during our drive, but no matter the road surface, steering was first-rate, the handling solid and predictable. The all-wheel-drive system uses a viscous coupling setup that under optimum conditions splits torque 50/50 front and rear. When slip is detected in any wheel, torque is automatically shifted to the wheels with the most grip. MMSA predicts a 55/45 sales split between AWD and FWD Outlanders. For the record, car-like ride and handling, good fuel economy/low cost of ownership and style are paramount in MMSA’s marketing strategy. They made much of its 0.43 cd, as in “the shape and silhouette of the Outlander has been chiseled in such a way to achieve an excellent drag coefficient relative to the class,” meaning better than CR-V, Forester and RAV4. In our partial day’s drive of all-wheel-drive, XLS-grade Outlanders, wind noise seemed minimal. The less charitable might say that wind noise couldn’t have been discerned above the engine as it labored to transport us up the hills of Northern Virginia. I would say that you should give MMSA credit for picking a ride route that didn’t try to disguise Outlander’s power deficiencies. Thoughtful engineering and a good dose of style can be found inside the cabin. A front seat hip point 26 inches above the ground is touted as ideal for entry and exit. The eye point’s height is said to provide superior visibility in all directions without resorting to the higher “command seating position” of large SUVs. Behind the thick steering wheel, your eyes also are treated to two rather in-your-face, eyebrow shapes molded into the dash. They direct your attention to a well-organized gauge cluster, which looks particularly attractive on XLS-trim, thanks to white-faced gauges. Another XLS bonus is a nifty analog clock located top dead center of the dash. A long narrow strip of textured fabric surrounds it, extending from the eyebrow pods to the door panel. It has a bit of a carbon fiber look to it, and like some of the door panel material, its color and appearance are altered by amounts of light shining on it. There are but two interior color schemes, charcoal or sandblast; cloth is standard, leather is available only on XLS via a luxury package, ditto side airbags. The 60/40-split rear seat folds flat, creating 60.3 cubic feet of storage space with a “knee-height cargo floor” that hides the mini-spare. Final prices will be announced about mid-September, when Outlanders arrive in showrooms. MMSA says the range will be $18,000-$24,000. That’s certainly in the same ballpark as CR-V, RAV4 and Forester. 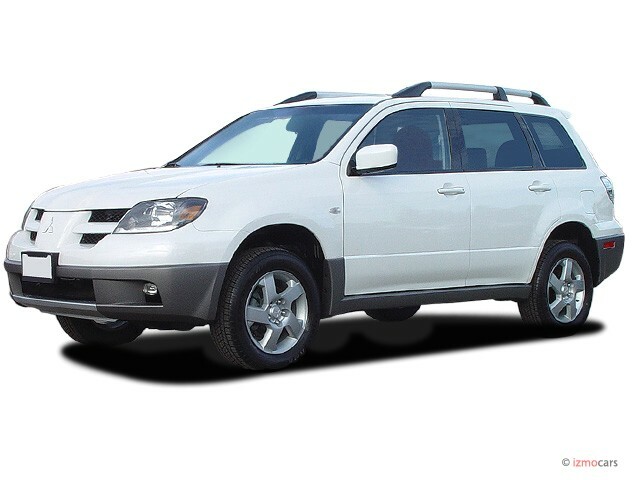 Problem is, the Outlander trails all three in power, storage space and standard equipment. Plus anti-lock brakes and side airbags aren’t even available on LS-grade cars. The folks at MMSA seem convinced that the “hipness” of their brand will overcome some of these drawbacks. They figure some of their current customers looking for something more practical than an Eclipse or Galant wouldn’t consider a Forester. But offer them something as “hip, cool and thoroughly Mitsubishi” as Outlander and they’d do the SUV thing. 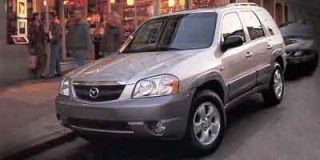 Major standard equipment: (LS)Cruise control; air conditioning; 140-watt CD audio system; power windows, door locks and mirrors. XLS adds: tubular roof rack; white-faced I/P cluster and analog clock; leather-wrapped steering wheel and shift knob; rear spoiler. Looking for a different year of the Mitsubishi Outlander?